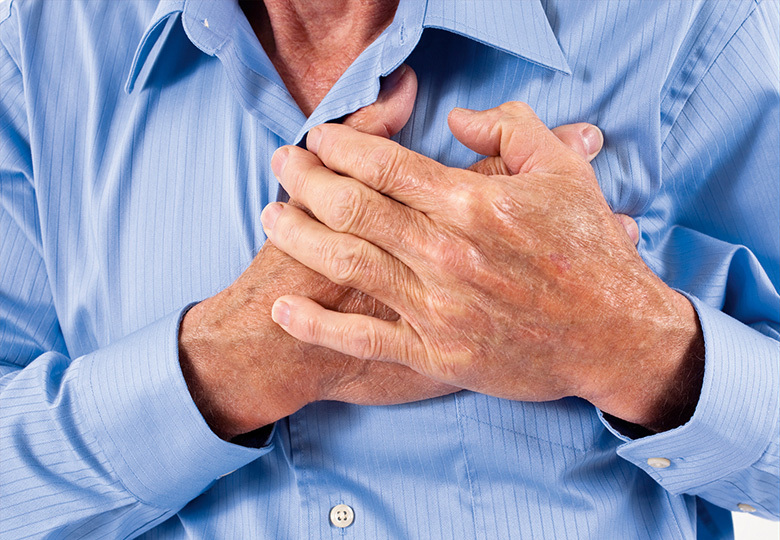 A heart attack or acute myocardial infarction (AMI) is a frequently occurring cardiac event during which a part of the cardiac muscle is no longer supplied with blood and the affected cardiac muscle cells mortify. Immediate treatment is extremely important. Because for patients with acute myocardial infarction, each delay significantly increases the relative mortality risk or impairs the quality of life after the heart attack. The mortality rate is highest during the first hours after the onset of the discomforts, which is why early diagnosis and initiation of treatment can have an essential influence on the outcome of the illness. Troponin is a cardiac muscle protein which is released into the blood during heart attacks. The determination of the troponin in the blood coming from the heart enables safe diagnosis of the heart attack, recognition of smaller cardiac muscle damage and better evaluation of the success of the heart attack treatment. A positive troponin test is a quick and easy addition to the diagnosing of a myocardial infarction which can, using solely ECG, be diagnosed in only 50–70 % of the cases. 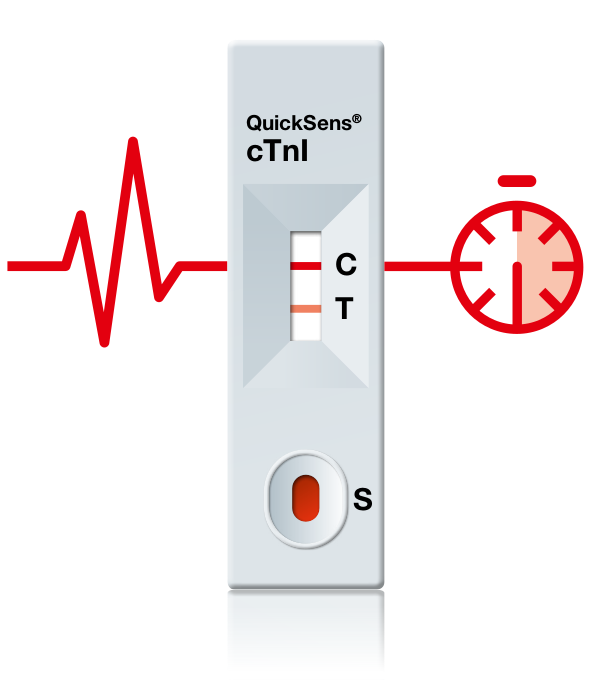 The 8sens.biognostic troponin I rapid test QuickSens® cTnI for fast diagnosis of a myocardial infarction. 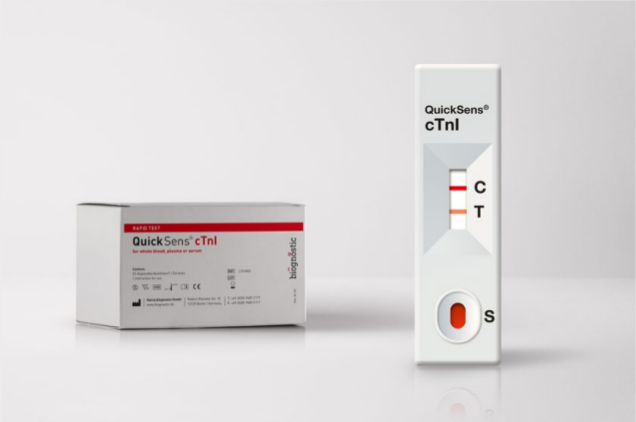 QuickSens® cTnI is an immunochromatographic assay to determine troponin I in whole blood, plasma or serum. Using the optoelectronic reader QuickSens® Ω100 makes exact quantification possible (optional). The troponin test QuickSens® cTnI is suitable to verify or exclude an acute myocardial infarction (AMI) and is used if that is suspected.